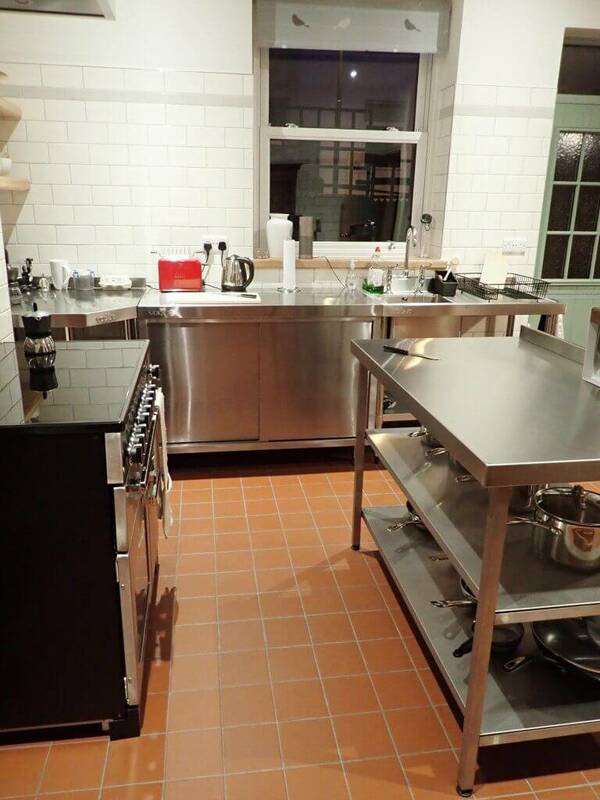 This is a bespoke kitchen installation we have extremely enjoyed working on and the results are fantastic. 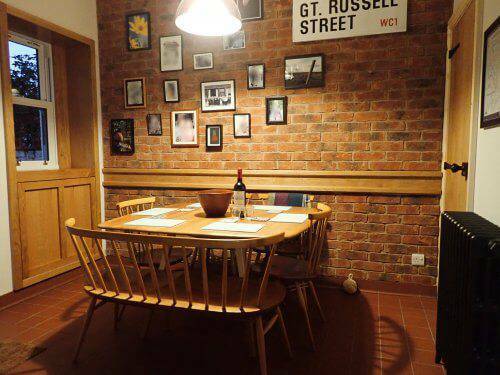 When Russel our customer approached us with the idea of a half professional kitchen and a half bistro look dining room we were very keen to get on board. This was the last room in the property we had not worked on and it had to live up to the rest of the house. The theme was a practical kitchen space like you would find in a restaurant when you stand and look one way in to the room. 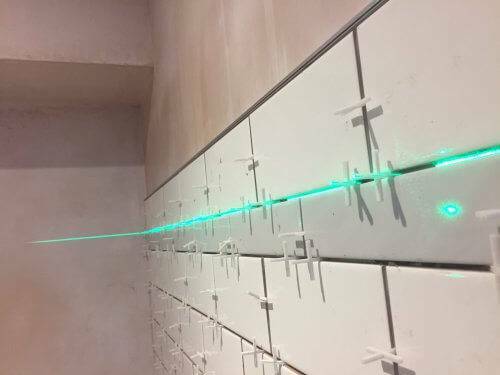 When you turn around an ambient bistro style dining area. Really enjoyed working closely with the customer to make his idea come to life and hit his expectations. The room was first gutted to finish the last part of the re-wire, make good the walls and run new services. 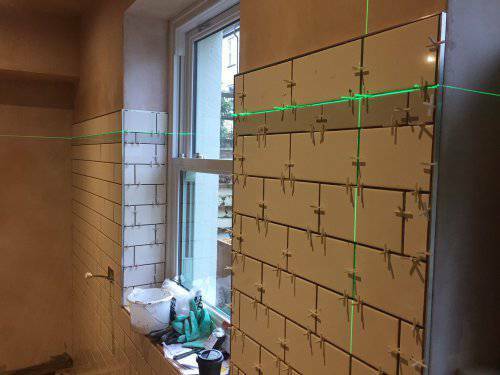 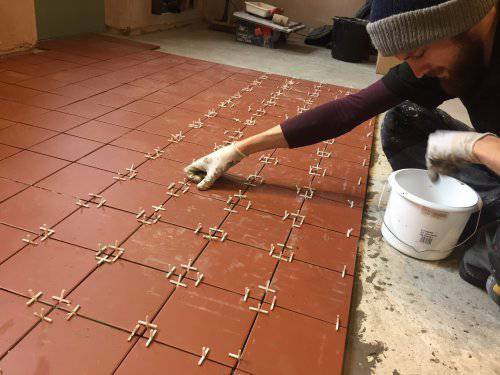 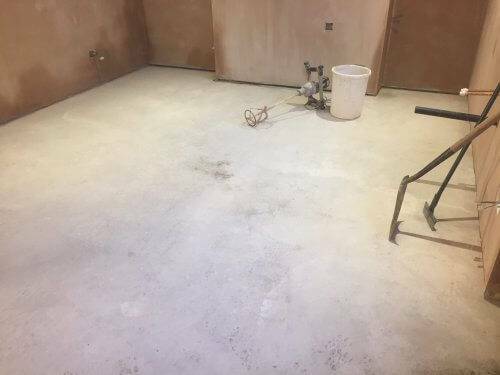 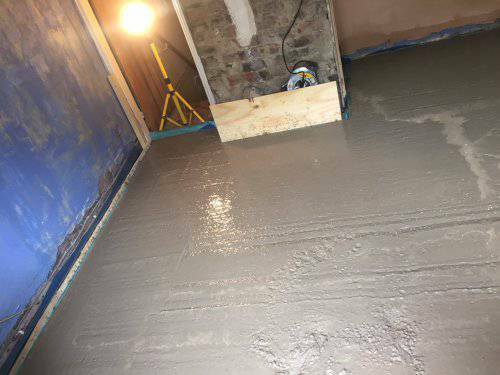 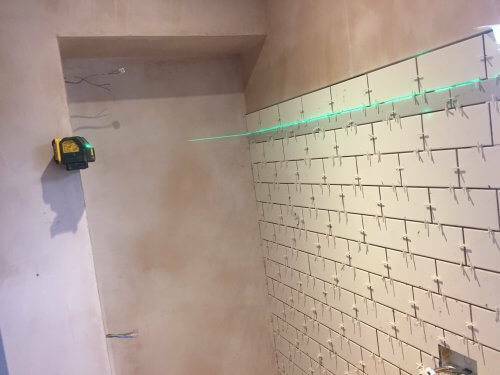 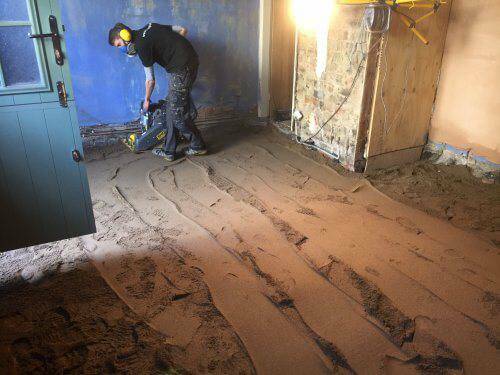 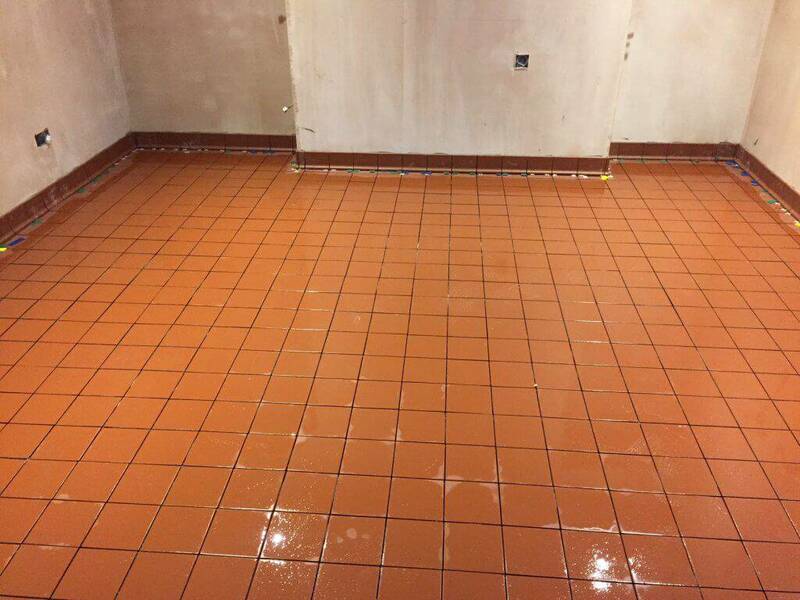 With the amount of tiling in the end plan the floor was lifted, insulated and a re-enforced concrete slab was laid for a level start. 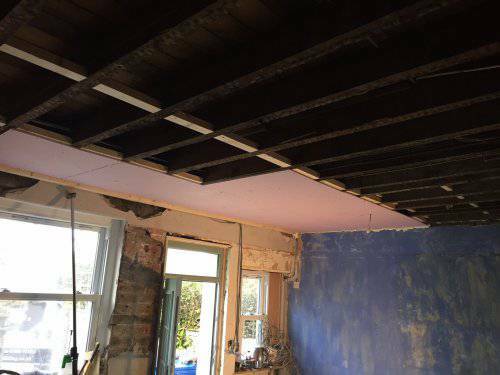 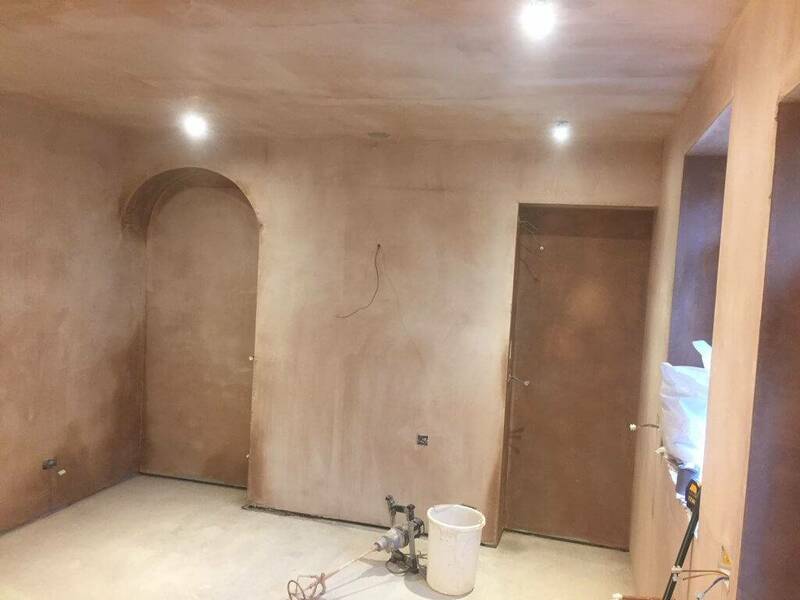 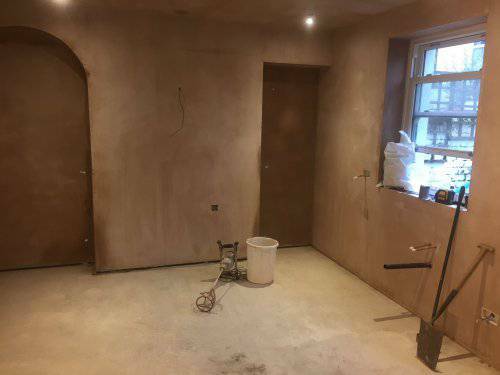 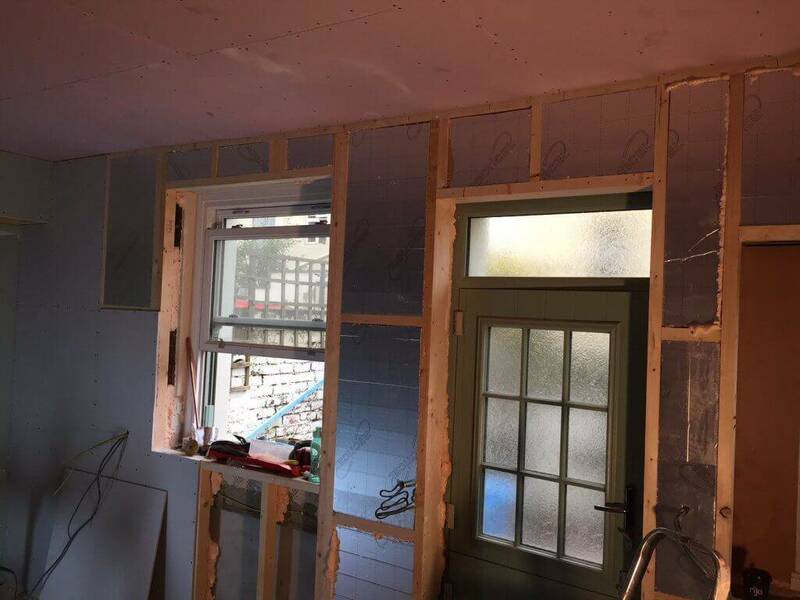 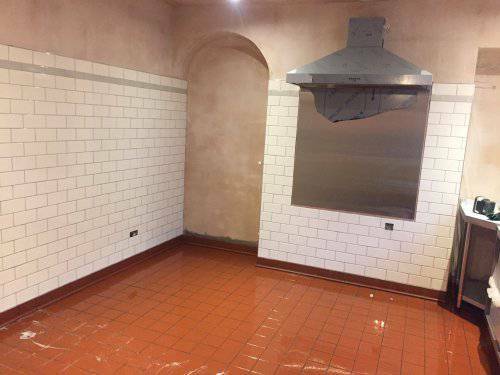 The ceiling was removed and fire boarded and the exterior wall was insulated with a partition. once plastered out we had a blank canvas to work to. 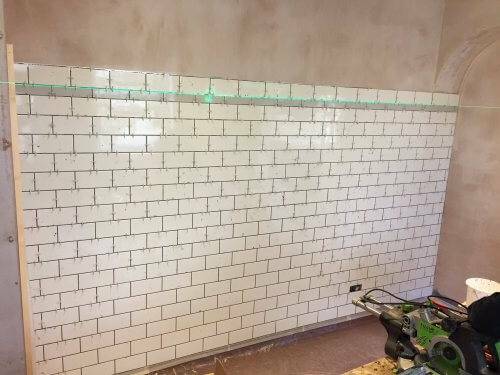 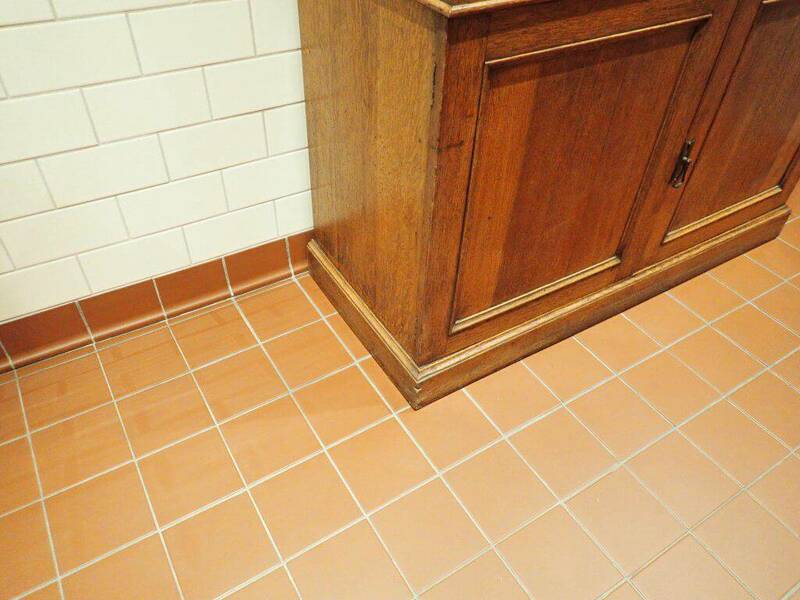 Quarry tiles were laid throughout the room as a base for the kitchen and dining room to tie the two part together including a tile skirting. Off white metro style tiles were used on the wall with a simple grey half strip near the top and brushed chrome trims. 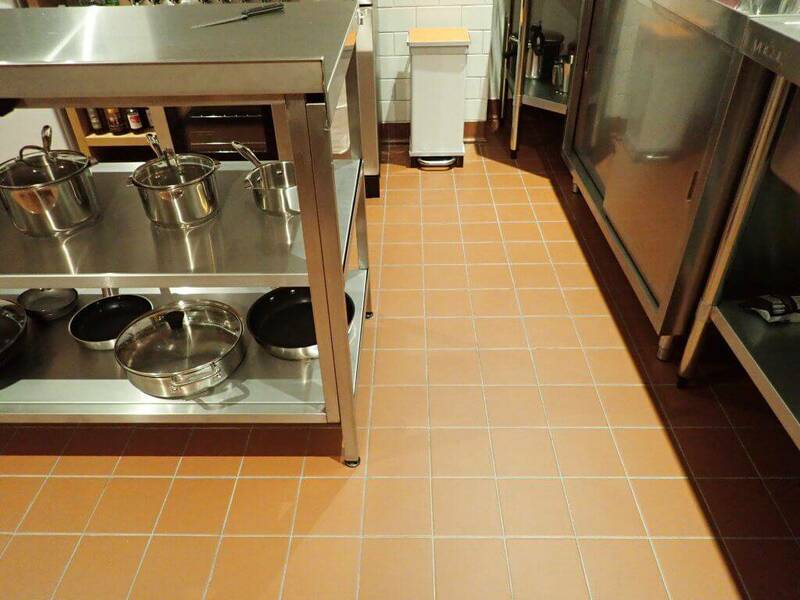 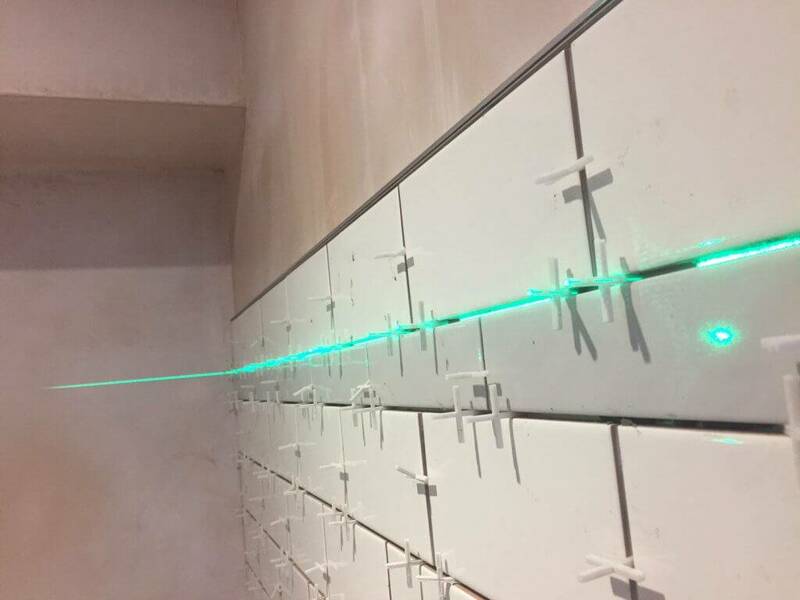 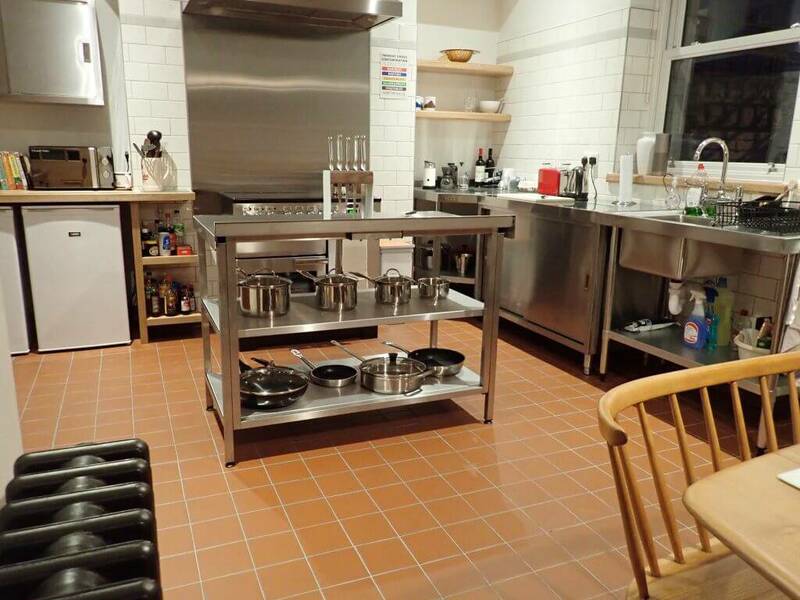 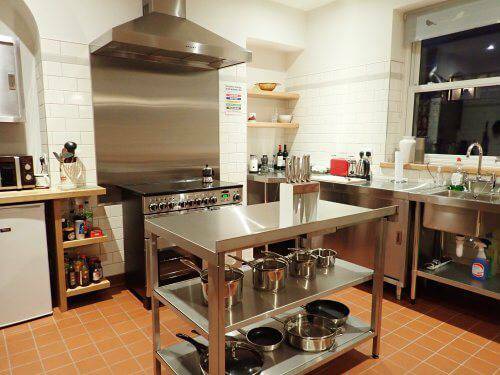 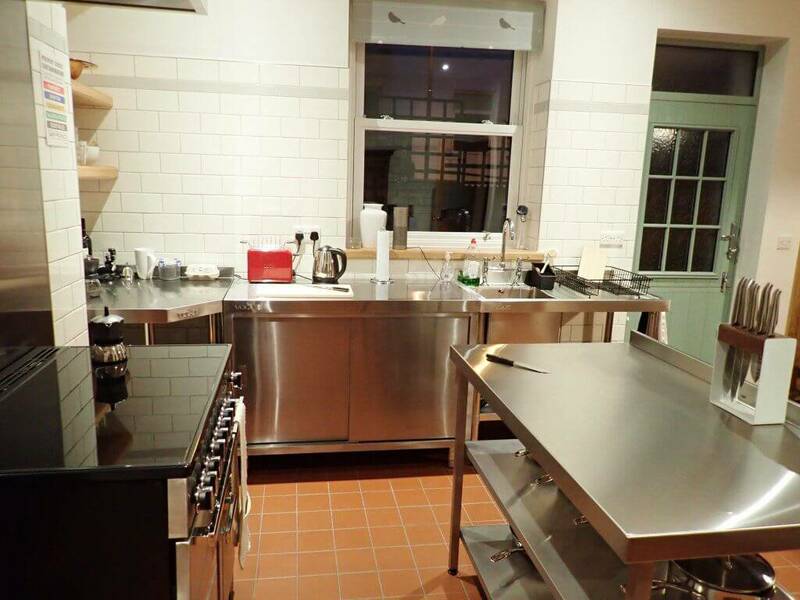 All the kitchen cabinets and work surfaces are stainless steel units so the tiling was done to the floor to allow for seeing through the cabinets. 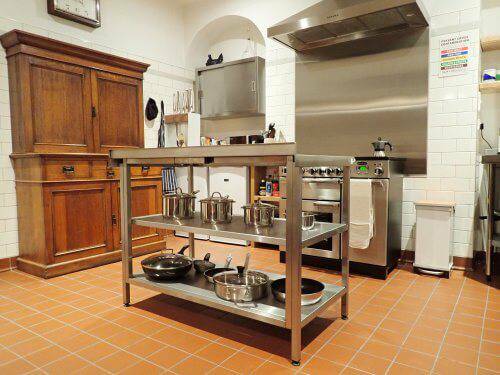 A very distinctive look and very practical for an avid chef. 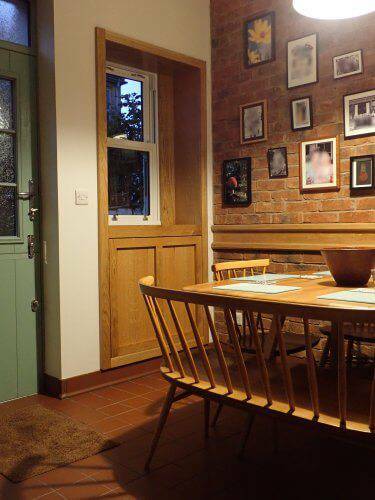 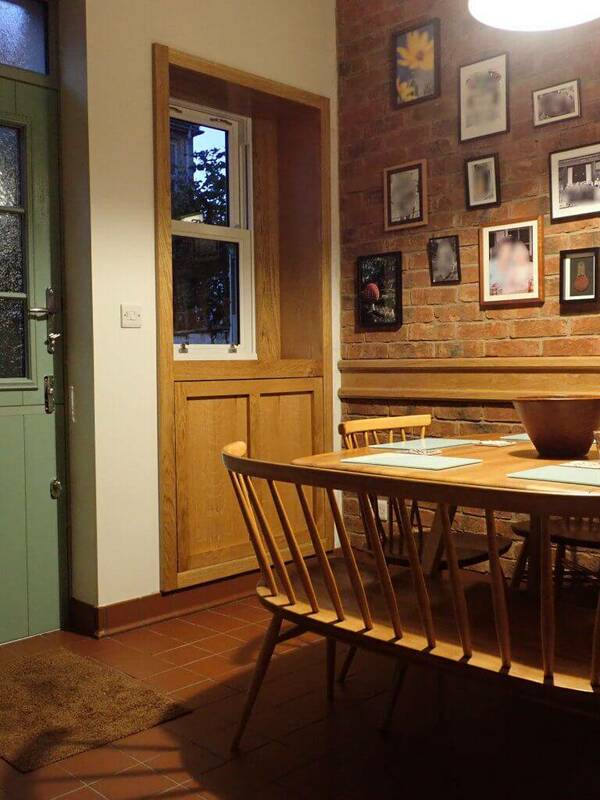 Later on in the project we decided to incorporate an oak theme into the kitchen to tie into the dining room half. 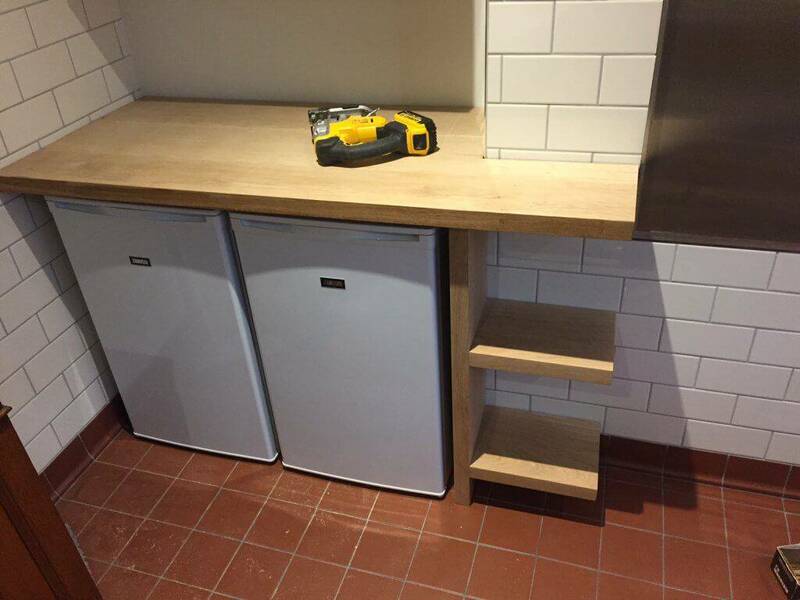 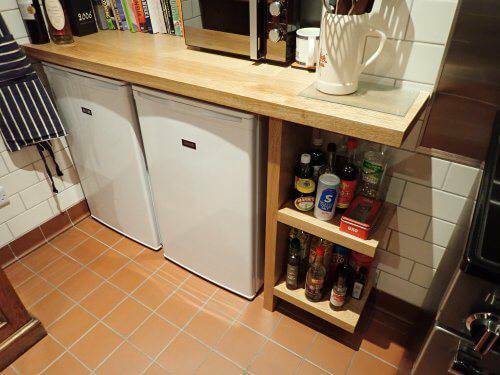 A made to measure solid oak worktop, shelves and widow sit was made and installed in the kitchen. 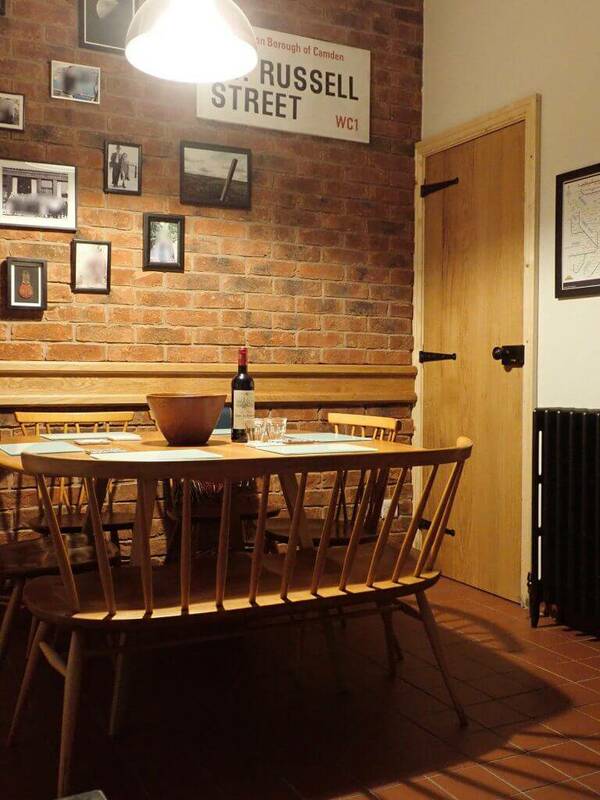 Approaching the second half of the room with a lot more of a ambient vibe, Brick tiles were used to create a rustic, reclaimed red brick wall changing the feel of the room again but adding a lot of character. 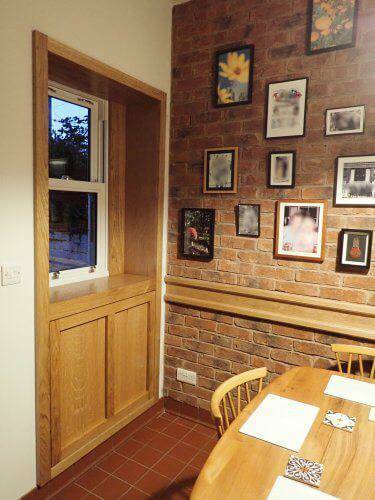 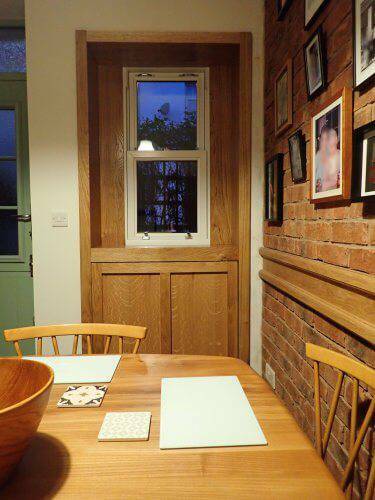 A bespoke oak dado rail was added along with a bespoke oak ledge and brace door and a oak cladded window and service area. Seeing the whole thing take shape was rewarding for everyone involved and the whole installation was a highly creative process. 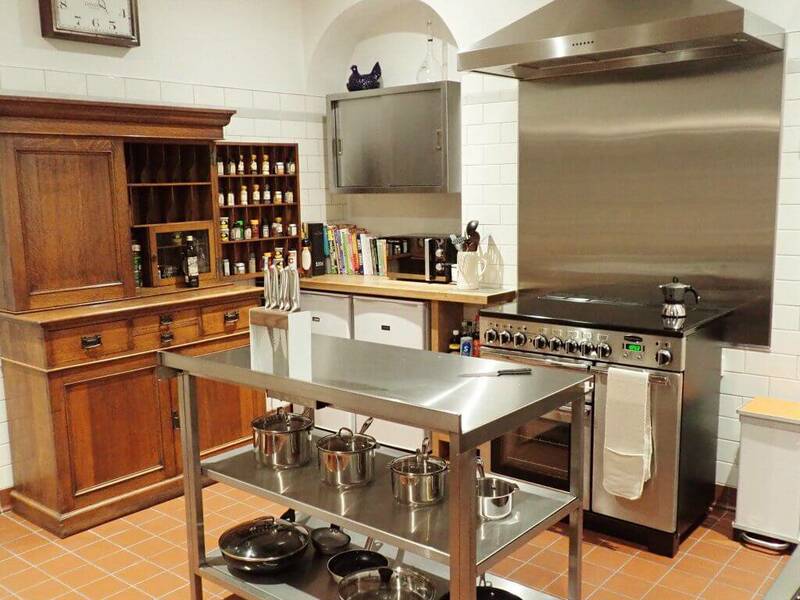 If you would like a chat to us regarding a bespoke kitchen installation then drop us a email via our contacts page. 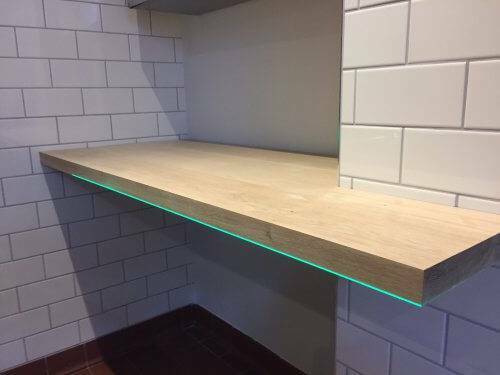 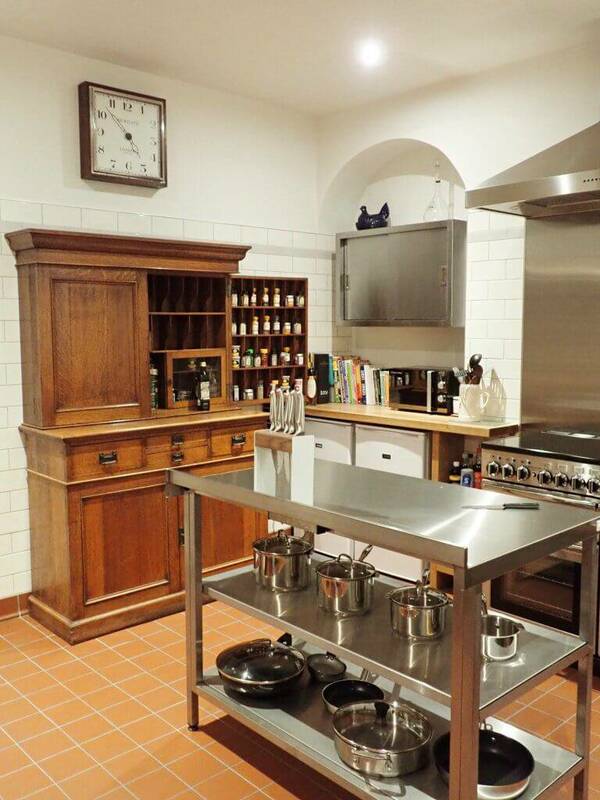 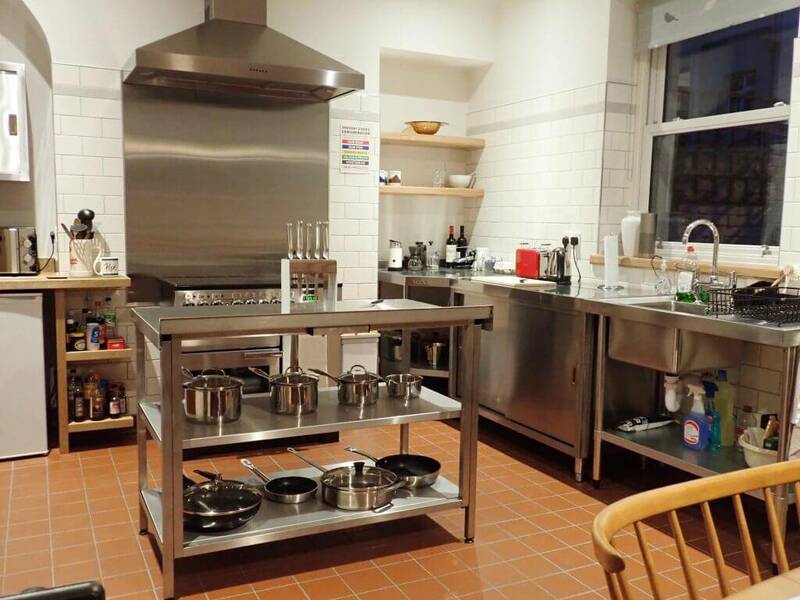 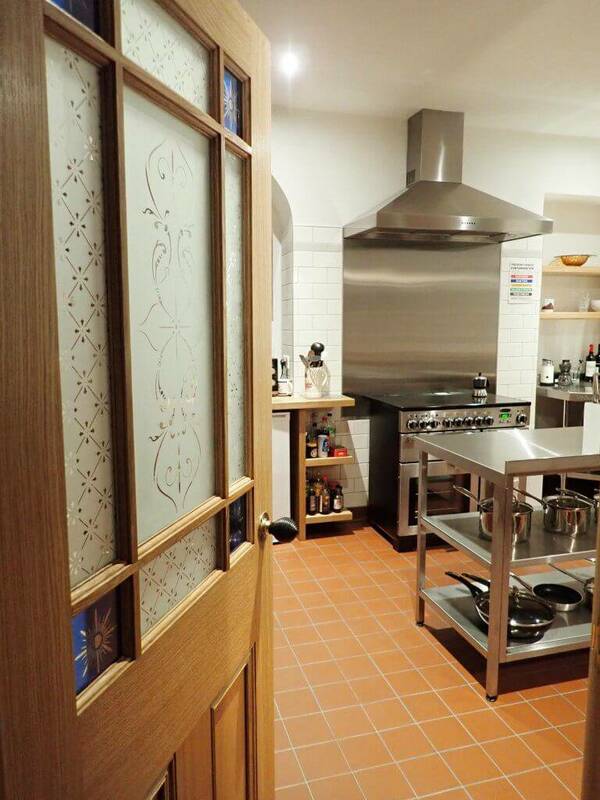 If you would Like something a little different and more tailored to you needs as part of a bespoke Kitchen project then head over to our contacts page and lets have have a chat.